I had hoped to get this posted this morning but this has been a VERY busy week at work for me so I didn’t the time I had wanted to get it put together. But better late than never, right? I wanted to let everyone know that tonight, December 21st, is one of my favorite times of the year. Better than Halloween, my birthday, last day of school, or even Christmas Eve. Why? It’s winter solstice! While I might not recognize the winter solstice as a time of worship like so many old religions did/do, it has a special place in my heart because of its astrological significance. All Autumn long I watch the days get shorter and shorter until it gets to the point that I leave to go to work in the dark and I drive home after work in the dark. During December I don’t go out during daylight hours for 4 days out of the week. And I can’t stand it! But tonight is the time of change. The days have finally reached their shortest duration and starting tomorrow everything starts over as the days start getting longer again. (Just an opinion, but I think they screwed up by 10 days when they started the calendar and the new year should have lined up with the day following the winter solstice – but that’s just me). So, how do we relate this to our finances, family, or life in general? Tonight is a time of change, when a process is flipped upside down. All of us have processes and behaviors in our lives that we need to change and turn around. Why not now? Why not use this great turning point in the cosmos to signify a turning point in our lives. Why can’t we use this as a time to turn a struggling marriage around and start saying “I love you” (and actually meaning it) at least once a day. To turn around a fading friendship by admitting you were prideful too. To turn around your financial situation and by finding one small thing that you can give up in order to pay more to getting out of debt. But remember. The length of the days change so slowly that its almost imperceptibly different from one day to the next. Just because you are able to make a change now doesn’t mean that all your problems will be fixed tomorrow, nor should you expect that to be the case. Instead of giving up in a few days just because you don’t notice a difference, let us commit to give it at least 6 months of daily adherence to our new course of action. And I’d be willing to bet that by the glorious summer solstice you will be able to see a difference. 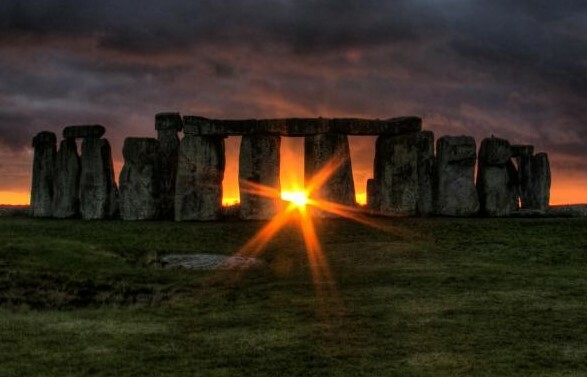 Hope you have a great solstice and a glorious new beginning when you awake.